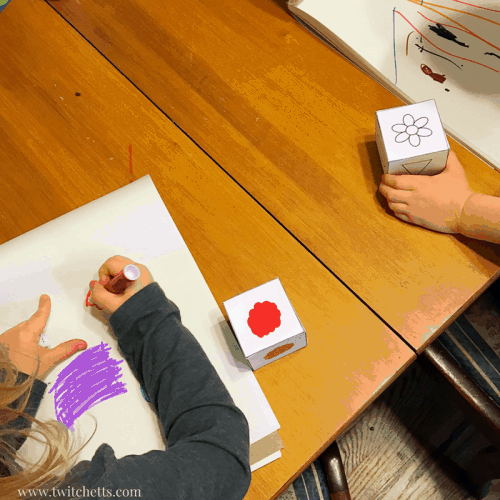 Are you looking for dice games for kids that will get them moving and spark their creativity? 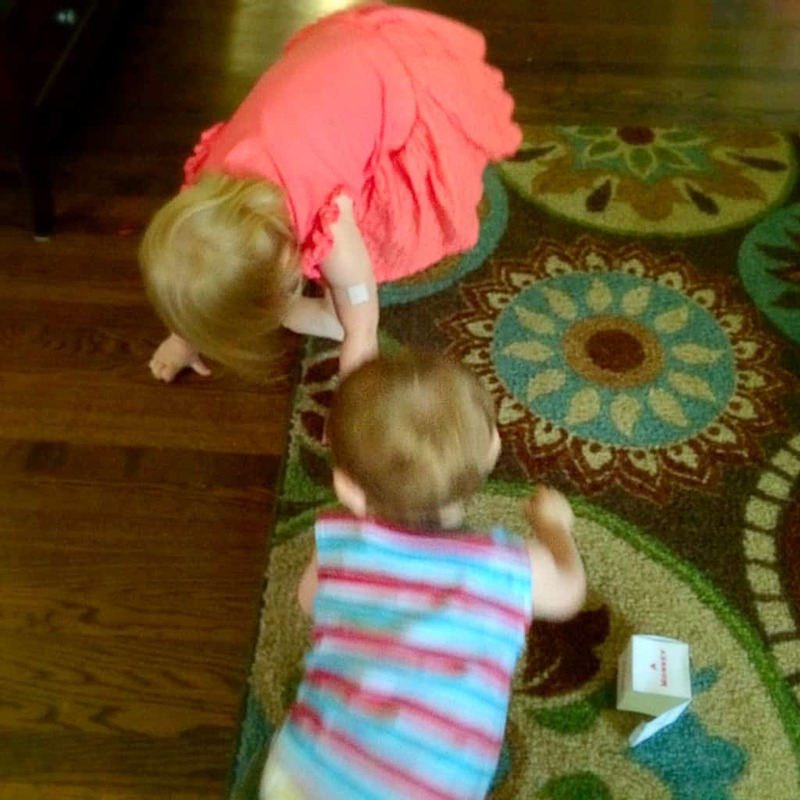 Do you search for new gross motor activities for your preschooler or toddler? 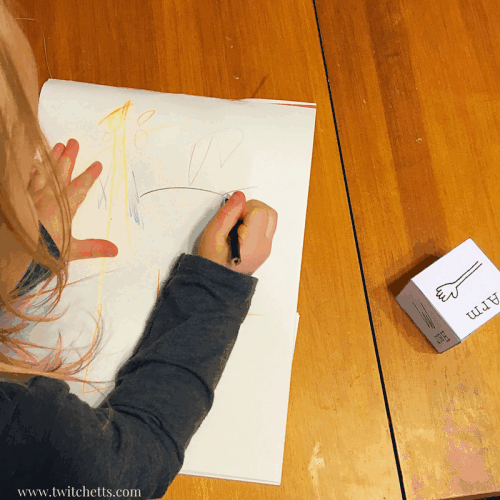 Are you looking for simple dice games that will inspire the creativity in your little one? We have created a printable dice pack just for you! 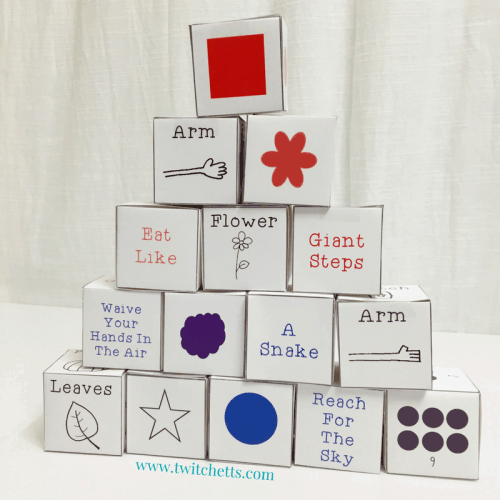 Our animal actions dice is by far our most popular free printable. From stomping like a cow to roaring like a lion, they create fun gross motor activities for toddlers and preschoolers. Next, we created the simple shapes dice games. 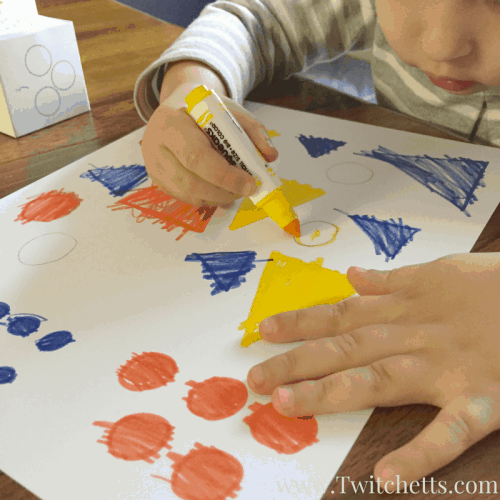 It introduces the youngest drawers to basic shapes and colors. Moms and teachers are loving those too! Now we’re going to the next level. We’ve created a pack that includes 15 printable dice! What kind of dice games for kids are included? We’ve included an updated version of our original animal actions dice set and our new simple shapes set is in there too. Then we added three more action dice including fun steps, silly actions, and dance moves. Plus we expanded the simple shapes set to include more shapes and more colors. You’re going to love our new drawing prompt dice. Create fun monsters, robots, or scenes with our four new drawing dice. Or take the scenery dice and use them for a fun scavenger hunt! 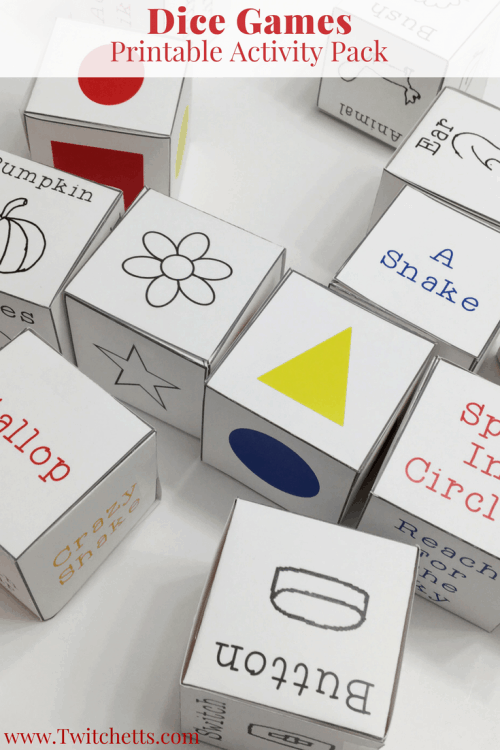 How will you play with your printable dice? We made sure that you had a number die and a die with the primary and secondary colors. You can use these to expand your play in any direction you choose! Use the number die to gallop 3 times or find 3 birds on your scavenger hunt. Combine your color die with your monster die and create a purple haired, blue eyed monster. Are you getting excited? I know my kids are. They have been drawing robots and taking turns (yes, playing nicely!!!) rolling the different dice to create simple dice games that they make up as they go. 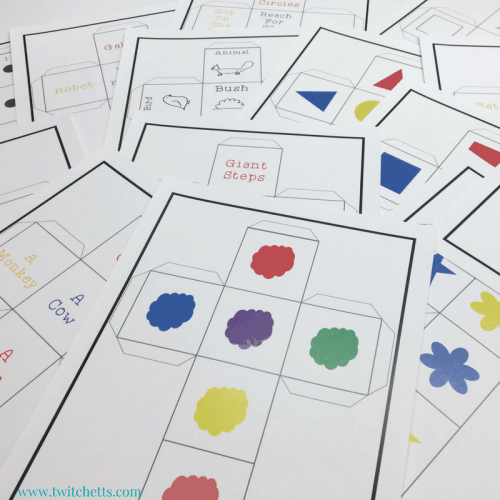 Ready to create some amazing simple dice games?